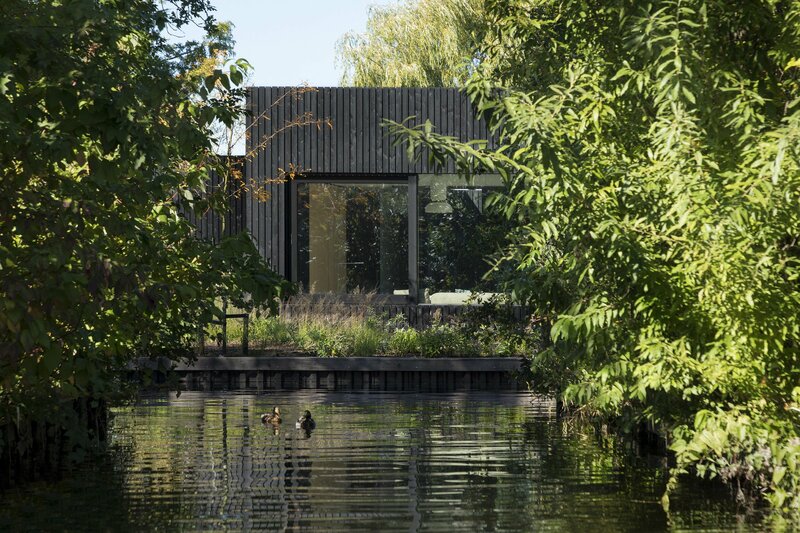 Tiny Holiday Home is a little escape where nature can be experienced in purist elegance and comfort. 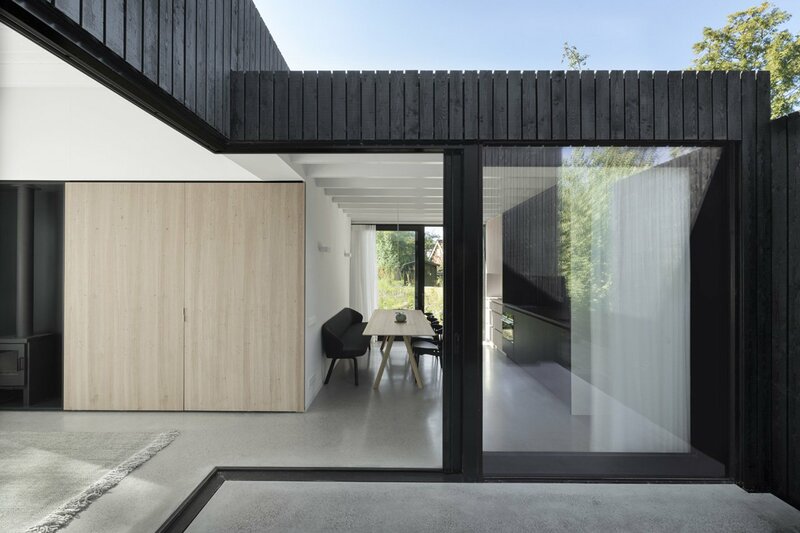 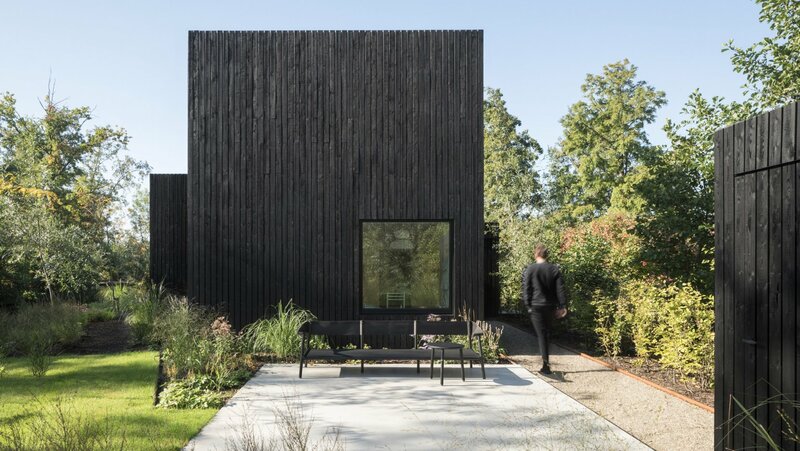 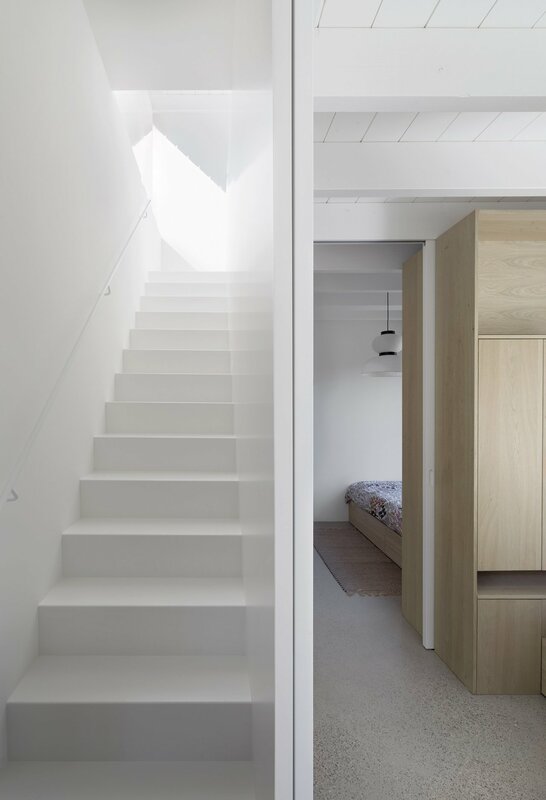 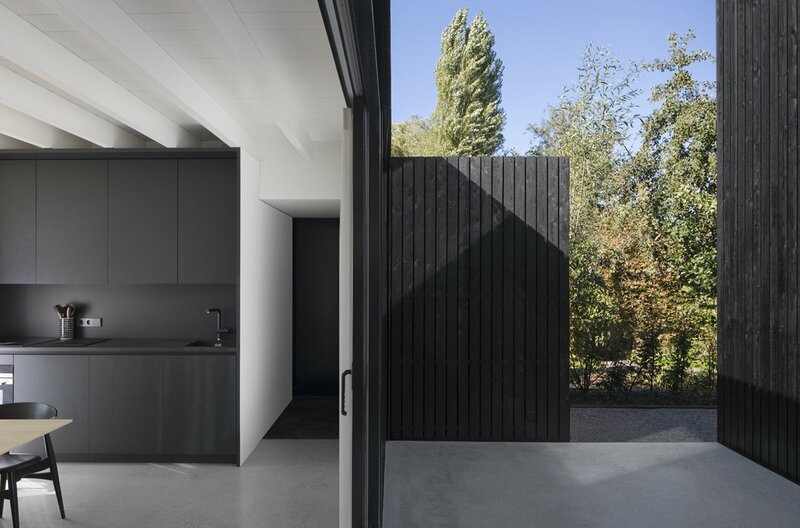 Designed by Dutch architect Chris Collaris and interior architects i29 for a family of four, the house is a nod to contemporary minimalism and compact living, for what the 75 square metre home lacks in size it more than makes up in immaculate detailing, smart interventions and eco-friendliness. 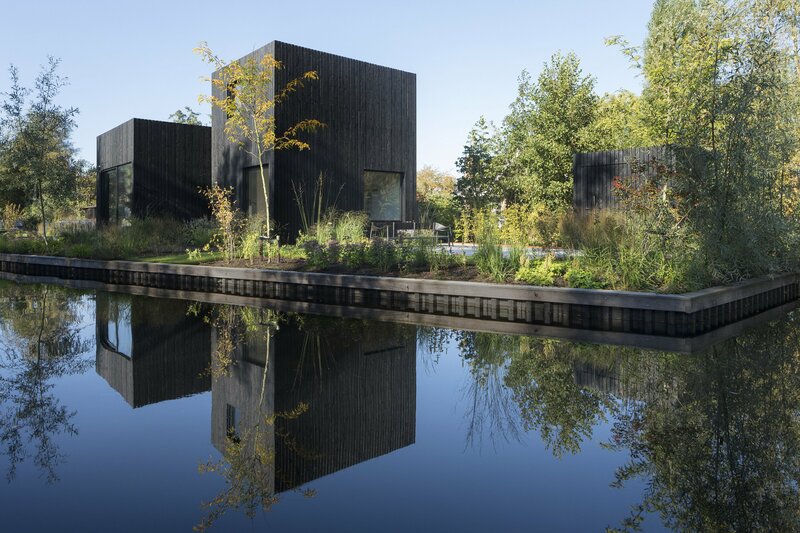 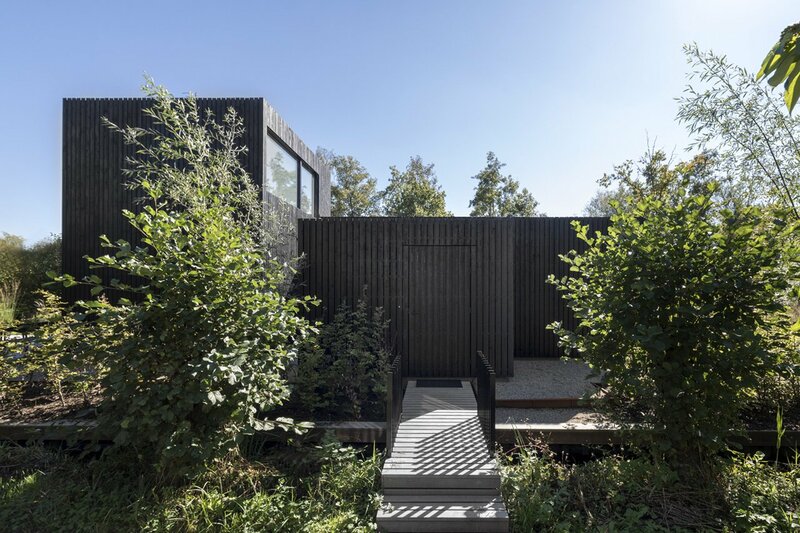 The building is a striking composition of four black cubic volumes, each housing a different function, situated on an elongated island plot close to the lake, in a spot where the views on the surrounding water and the available sunlight are optimal. 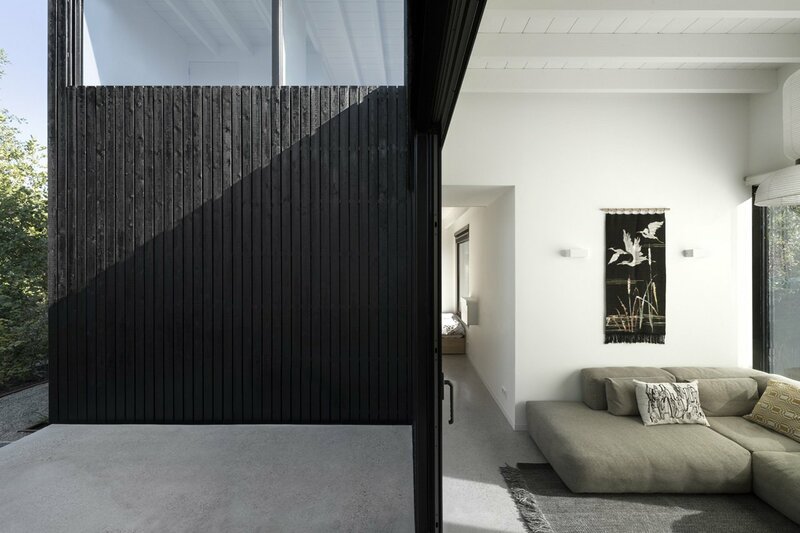 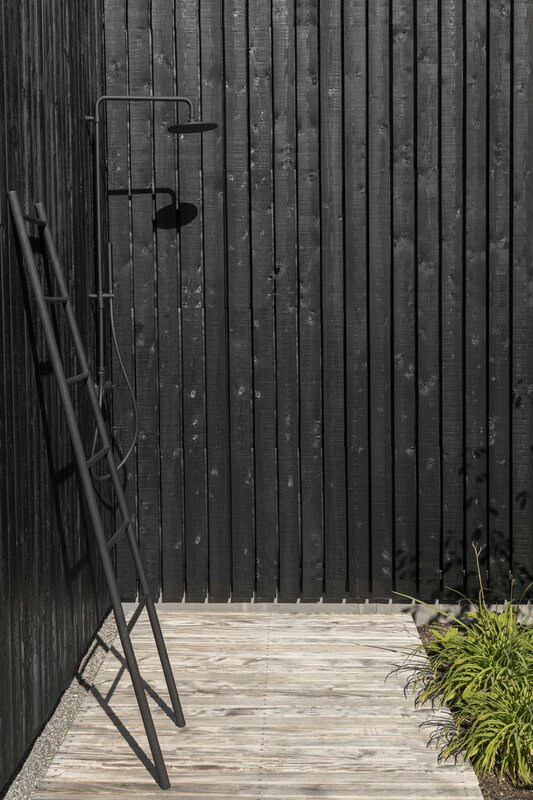 The house’s minimalist credentials is exemplified by its unadorned exterior. 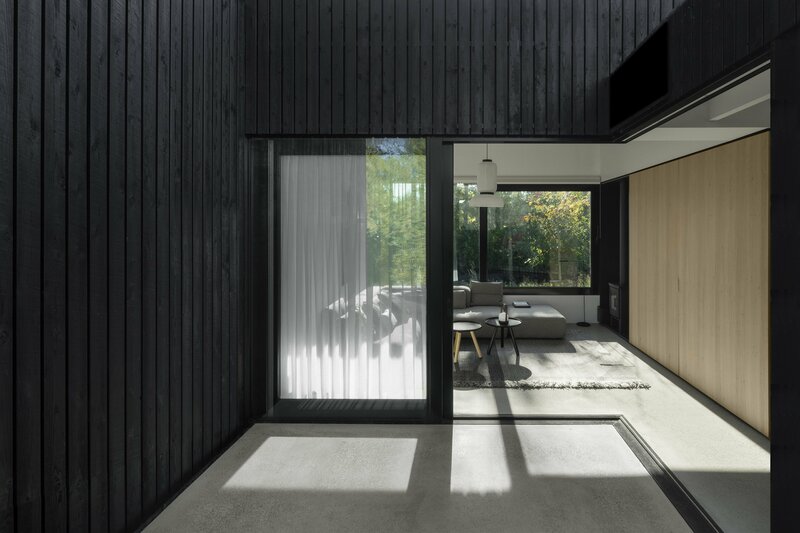 Lined in dark pinewood, the facades feature invisible roof endings and hidden window frames, while each facet is punctured by one strategically placed window or sliding door which can be completely opened. 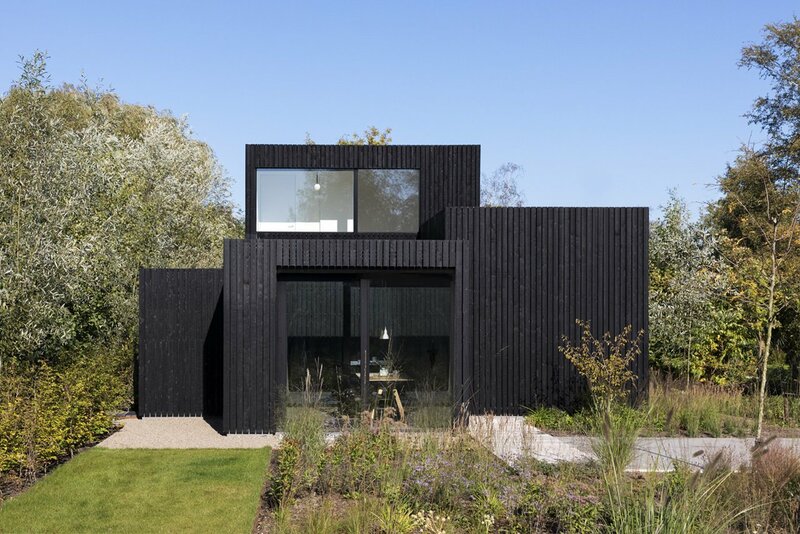 The result is a cubist composition of immaculately crafted blocks that stand out amongst the green scenery but nevertheless share nature’s idealized beauty. 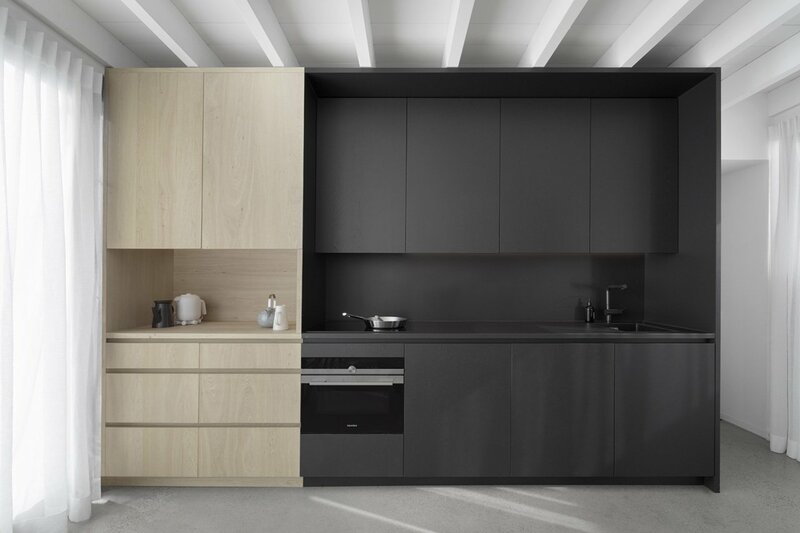 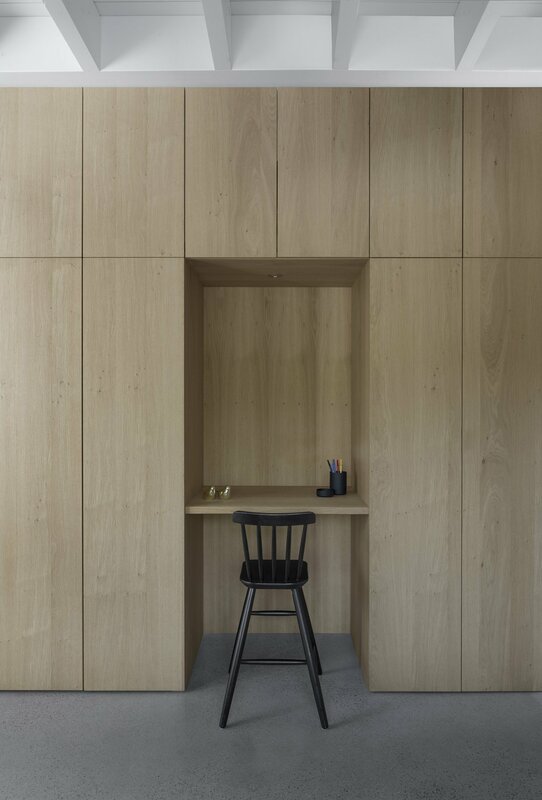 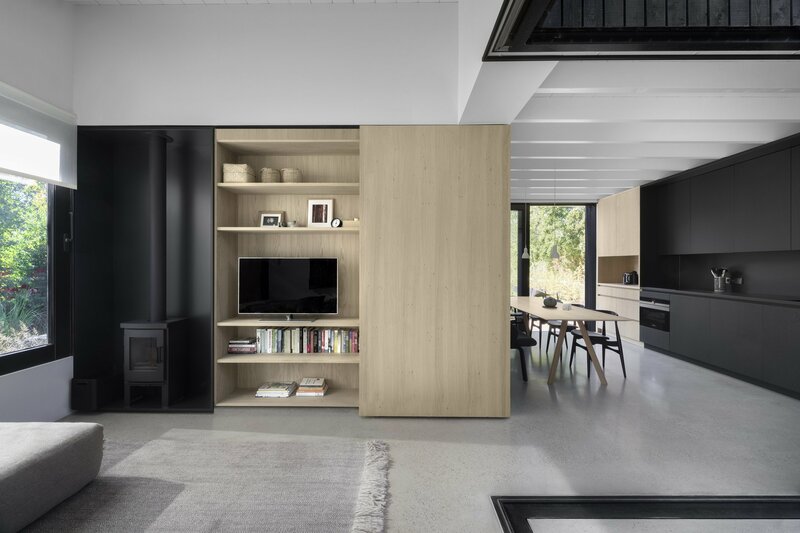 The interiors feature a series of built-in cabinets, cupboards and wardrobes of minimalist design bestow a similarly purist elegance, enhanced by a subdued colour palette and the selective use of bespoke furniture in a similar aesthetic.